Same-Day Starts, Braces, and Consultations Available! Reese Orthodontics with Orthodontic Care for Your Family! If you are seeking an orthodontist in Charleston, SC, for yourself, your child, or another loved one, we offer advanced technology and treatment options for the most comfortable and effective orthodontic experience available today. If you are a parent seeking orthodontic care for your child, you can also count on a positive, fun, and child-centered environment at Reese Orthodontics. Your child’s comfort and sense of security is as important to us as their dental health! Treatments such as braces, Invisalign, or early orthodontic intervention can certainly give you a great-looking smile. However, these aesthetic benefits are secondary to a far more critical goal in orthodontics: jaw alignment that promotes a healthy bite and unobstructed breathing. At Reese Orthodontics, my team and I work closely with you to ensure that your treatment gives you a smile that boosts both your confidence and your long-term health. Ultimately, you should always do your research when choosing a new orthodontist. 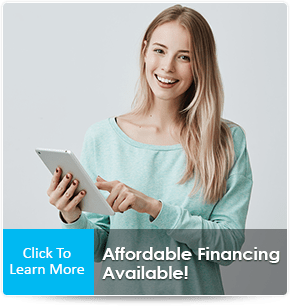 To help you with your search, I invite you to download my free report, The Top 10 Things to Know Before Choosing Your Charleston, SC, Orthodontist. Inside this report, you will find the most important questions to ask when considering the right orthodontic office for you and your family. If you have any follow-up questions after reading my report, feel free to call our office and ask! P.S. Don’t forget to take advantage of your FREE Dr. Reese Smile Analysis! It’s as simple as calling one of our friendly team members at 843-573-7279 or clicking here today. We can’t wait to make you part of the Reese Orthodontics family! WOULD YOU LIKE PERFECT STRAIGHT TEETH WITHOUT THE NEED FOR METAL BRACES? Take Your Invisalign Assessment Today! "Dr. Reese and staff share an inviting personality with a clean and professional atmosphere. I am very happy with the service, the product and the final result. I would encourage any of my friends and family to consult with Dr. Reese around their Orthodontic needs." 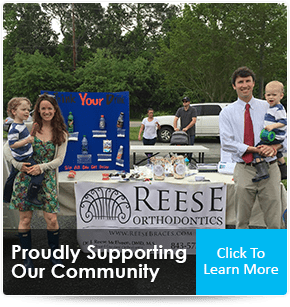 "It has been a great experience all around getting braces at Dr. Reese Orthodontics. It's a great office with wonderful and friendly staff. I am extremely happy with the results. Can't say enough good things about Dr. Reese and his staff. I highly recommend him!" "Dr. Reese and his staff was referred to me by a friend, and I highly recommend them! They were friendly, professional, helpful and quick to respond. I could not be happier with the results of Invisalign. I wore them about 7 months and my teeth are as straight as can be. Thank you for the great care and results!" "I chose the absolute perfect orthodontist to perfect my smile. Dr. Reese has a personality that calms you and removes the anxiety that may come with the process. Dr. Reese is a true artist. I am so excited with my new smile. Dr. Reese accomplished the goals I was looking for and I am forever grateful. Thank you Dr. Reese!!!" "Just awesome! Dr. Reese is the one to go to. He knows what he's doing and is great at what he does. Makes you feel like family every time you go visit. I can't get over how great my smile looks now. Definitely recommended." *The reviews listed are from actual patients of Reese Orthodontics. Individual results may vary. Reviews are not claimed to represent results for everyone. Dr. Reese McElveen, our award-winning orthodontist in Charleston, South Carolina has transformed the smiles of over 11,000 patients. Reese Orthodontics offers the most advanced orthodontic care for children and adults. Types of braces and orthodontic treatment include metal braces, clear braces, gold braces, Invisalign, Invisalign Teen, Damon Braces, SureSmile. Dr. Reese can even help you achieve your confident smile faster with AcceleDent. 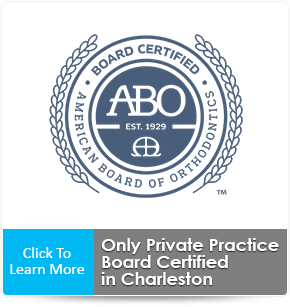 Call 843.573.7279 today to schedule your appointment with our board certified orthodontist in Charleston, SC, at our conveniently located Charleston orthodontic office. 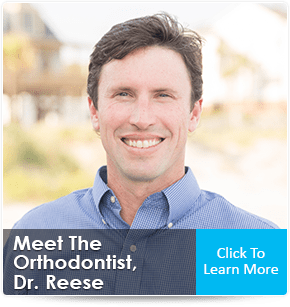 Come experience Reese Orthodontics and you will see for yourself that we offer innovative and effective orthodontic care in Charleston, Downtown Charleston, West Ashley, James Island, Mount Pleasant, North Charleston, Johns Island, Goose Creek, Hanahan and Ladson, South Carolina (SC).